If you haven’t been following American comedian Jeremy McLellan and his quirky, travel-blogger-esque updates from his serious obsession to Pakistan, you’ve been missing out! His quick wit, local references, warm anecdotes and willingness to try everything and anything that is Pakistani made us fans almost overnight. American comedian Jeremy McLellan is a true Pakistani at heart! 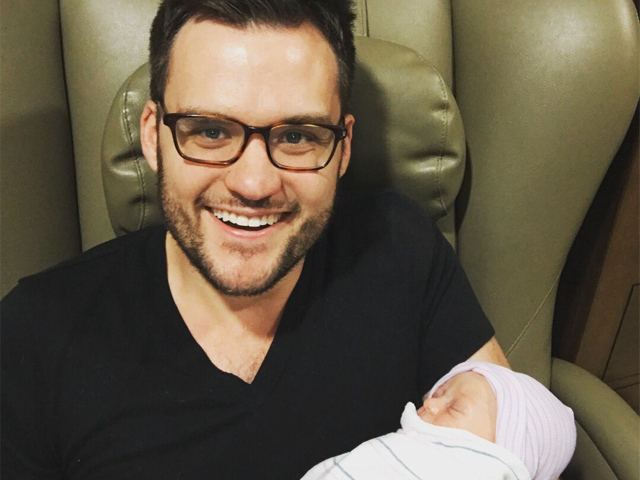 The US comedian recently welcomed his first baby Jewell yesterday. McLellan wrote a heartfelt note while he posted the first picture. And people can’t get over it! You've great sense of humor & funny bone . He didn’t stop there though..
1 diaper down. 5,000 to go. My FB page now has 499,000 likes. If this baby doesn't get me to half a mil by tomorrow night I'm returning her. And yes I am up at 3am with a crying baby. Fun times. We wish Jeremy laughs his way through through fatherhood!